The rumours have come true. One of SEA’s most accomplished players has finally made his way back to China, once again. Chai "Mushi" Yee Fung has moved back to China and is now competing for Team Aster - coached by his former teammate: Xu "BurNIng" Zhilei. Mushi kicked off the 2018/19 DPC Season playing for Mineski, before leaving the organization two months later after several disappointing results in the qualifiers. He also stood-in for Neon Esports in the DreamHack India Invitational before moving to Tigers where he would team-up with Dendi to compete in the Dreamleague Season 11: Open Qualifiers. This was his chance to prove his mettle on a good team. But the pairing was not meant to be—they crashed out in the open qualifier stages of multiple events, which lead to Mushi leaving the Tigers organisation. Now, he gets to start over with Team Aster. The Chinese team have qualified for two majors, this season, but haven’t really performed well in either of them. So the signing of an experienced veteran mid-laner like Mushi could help the team get back on tracks in DPC LAN events. 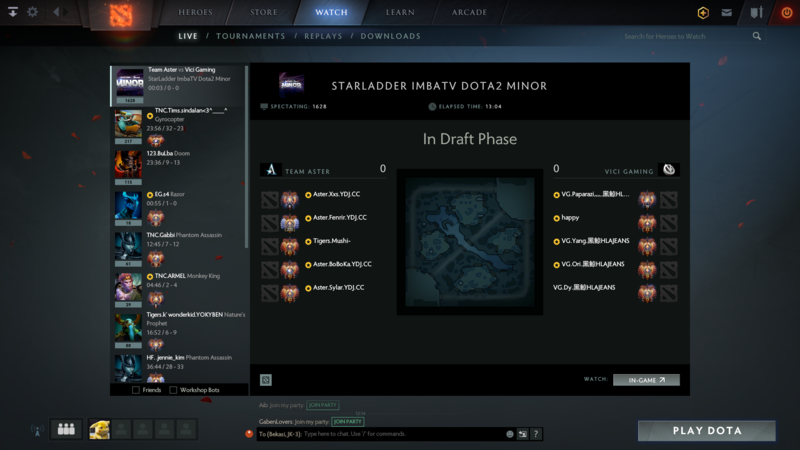 The team is currently competing in the Starladder ImbaTV Minor: Chinese Qualifiers vying for a place in the 3rd Dota 2 Minor of this Season. Aster's lineup looks terrifying and if their performance against VG today is something to go by they should be a force to reckon with in the China scene, especially now that Maybe is on a break.